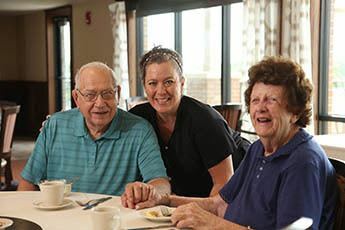 Residents of Heritage Pointe in Omaha, NE, enjoy beautiful senior apartments designed specially for their unique needs. Our senior living community is dedicated to enhancing the lives of our residents. Whether relaxing in the privacy of your apartment or partaking in a community event, we help Omaha seniors live their best life. All of our services are designed to easily adapt to your physical, social, emotional and spiritual needs. Our goal is to help you remain as independent as possible for as long as possible, with a personalized plan of wellness and care. We offer a variety of daily activities and special outings, from live music and exercise classes to dining out at area restaurants. 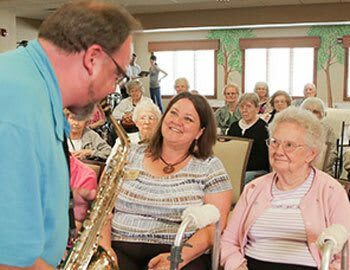 Our Life Enrichment Director keeps the social calendar fun and engaging, scheduling activities based largely on resident input and suggestions. Have an idea? Just let us know. Family and friends are always welcome to join in the fun, too.